Putting together your baby’s nursery is so much more then just cute and adorable. Having kids is expensive and in the end we want affordable and quality along with the cute and adorable look. Furniture is a big choice and in a sea of so many different styles, finishes, and options it’s easy to get overwhelmed. I had a fire since my boys were babies so I couldn’t go with their hand me downs and well, I was all about the natural wood finishes but this time around knew I wanted all his pieces to be espresso in color. Finding the actual pieces for the room weren’t hard though as I knew I could count on Storckcraft for their quality pieces! Here you can see one side of Sawyer’s room. Now his room isn’t the typical room. We ran out of bedrooms and the boys did not want to share their rooms. We had a large unfinished master bathroom off the side our bedroom and figured until he was out of his crib it would be a good fit. It actually worked out better then we had hoped it would and other then the less then attractive flooring and walls the space is pretty functional. The first piece of Storkcraft furniture we owned was the Tuscany Glider and Ottoman. I actually did a review & giveaway on it several years ago. You can read the review HERE if you’d like. I’m super excited about having this as it will be a great perch for when I nurse. I have all my needs in a basket next to it and I just need a small end table to finish it off now. 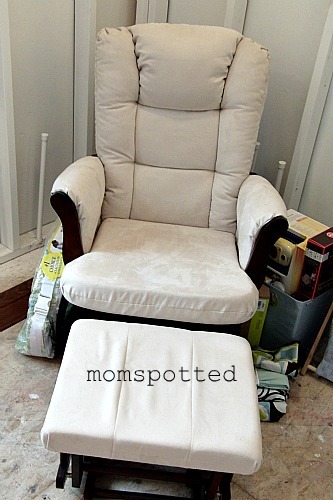 The glider is comfortable and glides nicely for rocking baby to sleep. 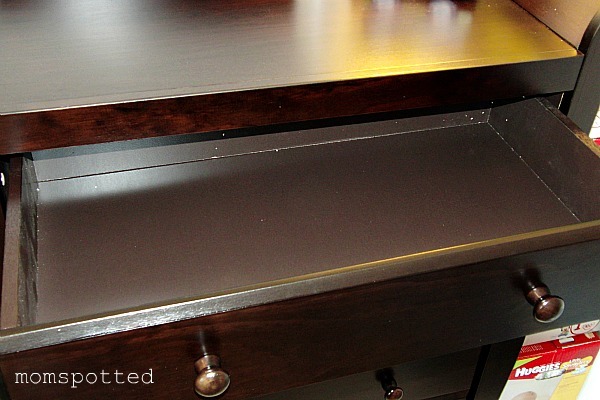 I was super excited to add in the Aspen Change Table w/drawer. I learned through the boys that having a drawer to hold all your needs is really important. I store medicines, thermometers, cremes, pacifiers, etc in there. It actually houses quite a bit and yet I still have a clean look. One complaint that this changing table gets on the websites is that the shelves aren’t espresso color. If you notice though it’s basically un-noticable once you place everything on it. 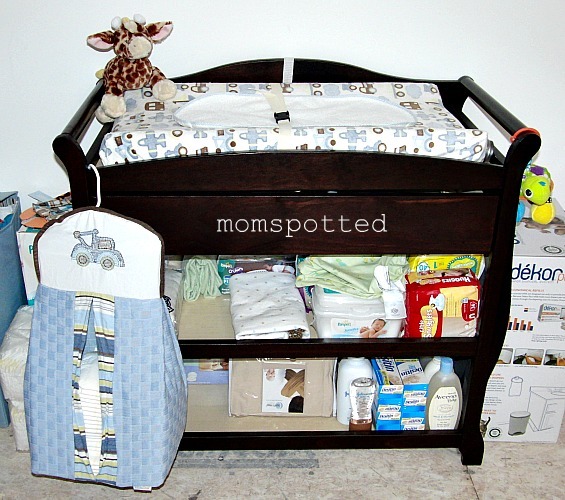 I love the idea of having a changing table AND a dresser as I can really benefit from the additional storage space a changing table allows you to have. I can store a lot of small needs and linens on here and leave his dresser for less used items and clothing. 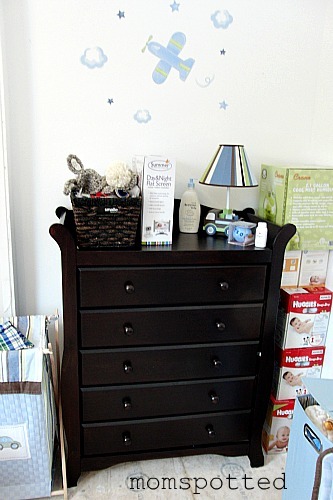 The finishing touch for this nursery and a very needed piece was the Aspen 5 Drawer Chest! It matches nicely with the other pieces in the room and can make a statement all on it’s own. The color is bold and the fact that it has 5 drawers really helps me maximize my storage and still be able to break down the way I organize things. The drawer sizes descend with the bigger ones on top and the smaller ones on the bottom. It also has easy pull knobs that make is simple to open and easy to close. The Aspen 5 Drawer Chest by Stork Craft is gracious in size, with a desired sleigh design, offering plenty of storage space for your baby or child’s clothing. Designed with timeless beauty, this stylish 5 drawer chest boasts the kind of good looks you’ll never outgrow. Drawers have adorable, round, wooden pulls and a durable glide system for extremely easy, smooth motions. Set up this chest, featuring sturdy, solid wood and wood products, effortlessly with the easy to follow step-by-step instructions. All Stork Craft chests are designed with security in mind, featuring a tipping restraint and fortified steel drawer glides with safety stops. Complete your nursery look by adding matching pieces by Stork Craft: Stages Crib, Aspen 3 or 5 drawer chests, combo dresser or a glider and ottoman. 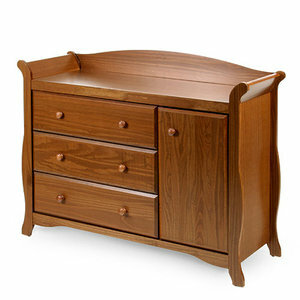 Matching pieces by Stork Craft: Stages Crib, Aspen 3 or 5 drawer chests, combo dresser or a glider and ottoman. You can see here that the color goes throughout all the pieces including the inside of the drawers. As you can tell I have lots of laundry to look forward still. What truly makes this dresser though is the finishing look on the top. It really helps stand out with my sleigh crib and really takes it to the next level of style and design. 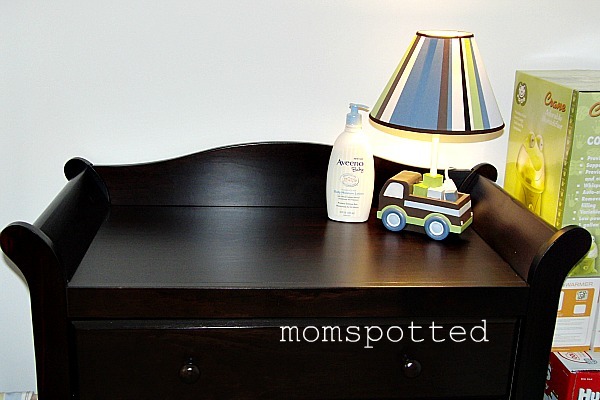 I love how it helps showcase the items I place on top and on the shorter versions of this dresser it would hold a changing pad and double for you nicely! 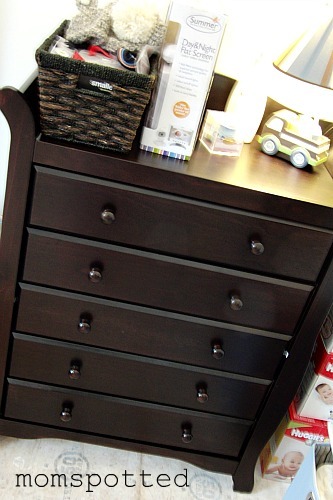 Storkcraft has offered one Mom Spotted Reader an Aspen Combo 3-Drawer Dresser!!! 1.) 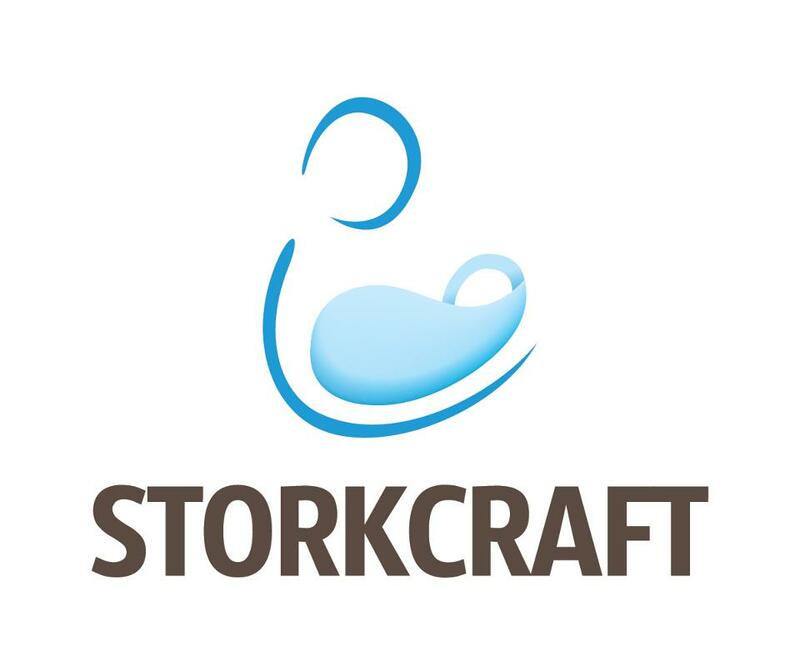 Visit Storkcraft and and tell me your favorite crib and finish color! 4.) Blog about my giveaway- with a link back to here AND Storkcraft 4 entries (MUST include at least 30 words! Get two additional entries if you include a photo of the giveaway). 9.) Become a Fan of Stork Craft Manufacturing – Juvenile Furniture on Facebook! That’s many chances to win an Aspen Combo 3-Drawer Dresser!!! Contest ends March 19th at 11:59pm! i love the carrara crib in cherry! My favorite crib and finish color is the Carrara 4 on 1 Fixed Side Convertible Crib in Black. Beautiful crib! I’m a Google + follower! Portofino Convertible Crib with attached changer in Espresso is my favorite! Monza I Fixed Side Convertible Crib in espresso is the crib i have for my son, I love it. its so sturdy, and looks great. I would have to say my favorite part about it is the color and the sides. It reminds me of the ocean. #1: Venetian 4 in 1 Fixed Side Convertible Crib in Espresso! #2: Google Plus Follower. (Miranda Welle) entry #1. #2: Google Plus Follower. (Miranda Welle) entry #2. #3: Email subscriber entry #1. #3: Email subscriber entry #2. #5: Following on Network Blogs. I love the Monza II crib in white! I love the Verona 4 in 1 fixed side crib in expresso! #9: (OOPS. I numbered your page as #8!) I am a fan of StorkCraft on FB tool. I’m a FB fan and I left a comment! I like the Monza Crib in espresso! I just love the Monique in white! I love the Monique 4 in 1 in white what a beautiful cirb would look great with a matching dresser for my newest grandbabies room that has moved in to nanas house ..for now we are using a book shelve for her clothes …fingers crossed thank you Stork Craft for such great giveaways! Savona crib in espresso, so cute!!! Portofino 4 in 1 in Cherry is on my baby registry!! i signed up by email! just left you a facebook msg! My favourite is by far the Vittoria crib in espresso! It’s similar to one I begged for from Babies R Us but my husband wouldn’t let me get when we had a brand new one given to us. My favorite crib is the Monza II in espresso! I LOVE the Vittoria in Cherry! My favorite crib is the Valentia Fixed Side Convertible Crib in the White finish. Carrara 4 in 1 Fixed Side Convertible Crib in BLack! OH! I love it! Fan Of Stork Craft Manufacturing on Facebook. My fav crib is the Monique 4 in 1 Fixed Side Convertible Crib, and I like the finish black. I like the Tuscany 4 in 1 Fixed Side Convertible Crib in espresso. I “Like” Stork Craft Manufacturing on FB. My fav is the Savona 2 in 1 Fixed Side Convertible Crib in Expresso. Thanks! I like you fanpage. Simone Traverse. Thanks! That should read ‘your’ on the previous comment (gosh I love being pregnant.) I’m also a fan of Storkcraft on FB. The Ravena in cognac is my fav! I love the Monique 4 in 1 fixed side crib in cherry. Very cute. I like the Vittoria 3 in 1 Fixed Side Convertible Crib in Oak. I like the Venetian 4 in 1 in the Oak! I love the Verona 4 in 1 Fixed Side Convertible Crib in Black! Absolutely beautiful! And I love that it can go from baby to adult! My favorite crib is the Vittoria 3 in 1 Fixed Side Convertible Crib in the black finish. I became a Fan of Stork Craft Manufacturing – Juvenile Furniture on Facebook! Following Storkcraft on Twitter as catholicfanatic. Fan of MomSpotted on Facebook. Became a Fan of Mom Spotted on Facebook. Fan of Stork Craft Manufacturing – Juvenile Furniture on Facebook! Became a Fan of Stork Craft Manufacturing – Juvenile Furniture on Facebook. Portofino 4 in 1 Fixed Side Convertible Crib Changer in Espresso! Love the Monique 4 in 1 Fixed Side Convertible Crib in Cherry finish!!! I am a Fan of Stork Craft Manufacturing – Juvenile Furniture on Facebook! I really like the Carrara 4 in 1 Fixed Side Convertible Crib. I like the Valentia Fixed Side Convertible Crib. I follow Storkcraft on twitter. I am a fan of Stork Craft Manufacturing-Juvenile Furniture on fb. I have posted comment on my blog. I adore the the Sheffield Fixed Side Convertible Crib in white! I like the Vittoria 3 in 1 Fixed Side Convertible Crib in cognac. My favorite crib is the Sheffield 2 in 1 Fixed Side Convertible Crib in white. I’m a Fan of Mom Spotted on Facebook and left you a comment. I love the Verona Crib in Black! I follow StorkCraft on Twitter as Anneliz702. I like your fan page on FB as Anne Loyd. I like Stork Craft on FB as Anne Loyd. I like the Portofino 4 in 1 Fixed Side Convertible Crib Changer in Cherry! I like the Monique 4 in 1 Fixed Side Convertible Crib in Espresso. I follow you on Google + as Estelle Steenbergen. I follow Stork Craft on twitter as @crackersmacker. I’m a a Fan of Stork Craft Manufacturing – Juvenile Furniture on Facebook! thanks much! still short on a dresser after baby came in October. Love this one! My favorite is the Venetian in Oak. I liked the The Ravena 2 in 1 Fixed Side Convertible Crib in espresso. Yay! I was wondering when you’d make a fan page so you could get your personal page back! I’m a NEW FAN of Mom Spotted on Facebook and I left you a message under the giveaway post. I’m a Fan of Stork Craft Manufacturing – Juvenile Furniture on Facebook! Love the Monza II Fixed side crib. Like you on FB & left a comment. My favorite crib is the Vittoria. I love it in the cherry finish. I love the Milan 2 in 1 Fixed Side Convertible Crib in cherry! Thanks for the chance! I subscribe to your blog via email entry #1. I subscribe to your blog via email entry #2. I follow Storkcraft on twitter as @luckystars54. I follow @momspotted on twitter as @luckystars54. I like Mom Spootted on Facebook as Whitney Lavender. Liked Storkcraft juvenile manufacturing as Whitney Lavender. Left a comment on your gift wrap station organization post…you did inspire me to tackle mine! My favorite crib is the vittoria 3 in 1 fixed side convertible crib in the cherry color finish. My favorite crib is the Tuscany 4 in 1 Fixed Side Convertible Crib in the Oak finish. I love the cognac finish! I like the Tuscany twin bed. I like the Hollie collection in oak. I like the Monique 4 in 1 Fixed Side Convertible Crib in white best. I like the Monique 4 in 1 Fixed Side Convertible Crib in white. I like the Verona 4 in 1 Fixed Side Convertible Crib in Oak finish. Thanks. I absolutely love the Monza II Fixed Side Convertible Crib and I think I like Cherry finish the most. Vittoria 3 in espresso finish. I like the Valentia Fixed Side Convertible Crib in white! My favorite is the Ravena Fixed Side Convertible Crib in cognac!! I love the Tuscany in the cognac finish. The Monza II Fixed Side Convertible Crib in Cherry finish is my favorite. Omg like like like. That would look so good in my baby boys bedroom. It’s just what he needs. I like the dark brown chest five drawer . I follow u.
I love the Beatrice Combo Tower Chest in Oak. I’ve never seen one like that! I like the Milan 2 in 1 Fixed Side Convertible Crib in cherry finish. Cognac is the best color. What a great giveaway. The Carrara 4 in 1 Fixed Side Convertible Crib in Cherry! I like the Portofino 4 in 1 Fixed Side Convertible Crib Changer in Cherry. Love it! I am a fan of Fan of Stork Craft Manufacturing on facebook! I like the Bradford 4 in 1 Fixed Side Convertible Crib in white. Im a fan on facebook! 🙂 I love the Portofino 4 in 1 Fixed Side Convertible Crib Changer in White. Love it! My favorite is Portofino Convertible Crib in Espresso. My favorite crib is the Savona Fixed Side Convertible in the Cherry finish. I’m a Google+ Follower (HilLesha Anderson). I’m following Storkcraft on Twitter. I like your page on Facebook (Hil’Lesha O’Nan). I’m following you via Networked Blogs (Hil’Lesha O’Nan). 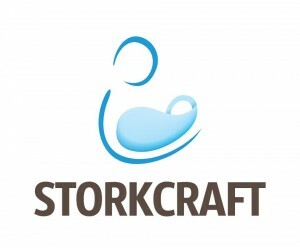 Visit Storkcraft and and tell me your favorite crib and finish color! I like their page on Facebook (Hil’Lesha O’Nan). I like the Ravena crib in oak. My favorite crib is the Valentia in Oak, it reminds me of my grandmothers. I really like the Tuscany in Expresso crib. I’ve registered for it for our soon-to-be Baby! My favorite is the Ravena Fixed Side Convertible Crib in espresso! I love the Carrara 4 in 1 Fixed Side Convertible Crib in white! I love the Vittoria in Cherry finish! Im a Fan of Stork Craft Manufacturing – Juvenile Furniture on Facebook! Disregard my last one, too bad things on my mommy brain. I like the Tuscany in black!! Following you on Google+ as Melissa O. 2 Following you on Google+ as Melissa O.
Verona crib in esspresso would be my choice! Follow you on G+ and can’t believe I misspelled espresso above! 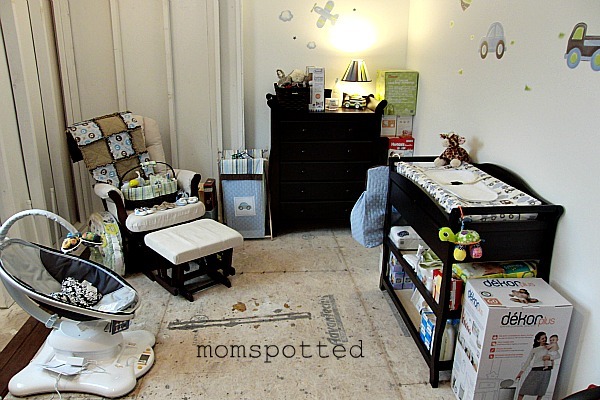 I subscribe to the momspotted blog! fan of storkcraft juvenile furniture on FB! I like the Monza in Espresso. My favorite is the espresso2 Sheffield Fixed Side Convertible Crib. Thanks. I love the Vittoria 3 in 1 Fixed Side Convertible Crib in Cherry. Thank you for this giveaway! also I like the Milan 2 in 1 Fixed Side Convertible Crib. My favorite is the Valentia Fixed Side Convertible Crib in white. So chic! I’m following Stork Craft on twitter (@getbackzack). I like the Carrara 4 in 1 Fixed Side Convertible Crib in white! Love the Vittoria 3 in 1 Fixed Side Convertible Crib in espresso! I love the Portofino 4 in 1 Fixed Side Convertible Crib Changer in Cherry! I like the Savona fixed side convertible crib in cherry. Fan of Stork Craft Manufacturing on Facebook!